The countdown continues. Tickets go on sale from Monday, November 7th. They are available in person from the Box Office at DRTCC. Box Office opens at 9.30am. They can also be purchased online www.drtcc.com.au . We cannot stress enough the importance of getting in early to avoid disappointment. Last year, two shows sold out in two hours. 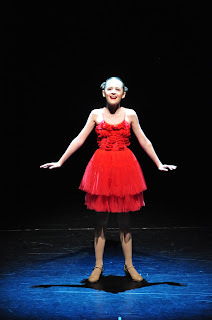 We now offer a third show and also have alleviated the amount of children in each show by having our gorgeous little Angelina’s perform in only one show. We know they will put their best foot forward. It is therefore imperative that Angelina parents purchase their tickets on the first day of ticket sales. A reminder that tickets are charged at $30 for Adults and $28 for concession. If your child would like to watch the show before or after their performance, they will need to have a ticket purchased for them. It’s time to get really excited because after all of our hard work in class we are now about to step on to stage for our very first stage rehearsal. 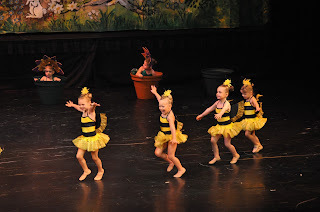 Our stage rehearsals will be held on Sunday, 13th November at Dubbo Regional Theatre, Darling St. The students are asked to please enter through the backstage entrance at Carrington Ave and mark your child’s name off the roll. This is a closed rehearsal and only performers will be allowed entry beyond stage doors and area. Stagecraft Rehearsals prepare the students for the correct manner to enter and exit the stage, the stage dimensions and other important features of Performance. They are an important and exciting lead up to Dress Rehearsals and our Concert and are sure to combat all the nerves and ensure the performers are feeling prepared, confident and most importantly, very excited about their performance. Students should come dressed in dancewear and the entire faculty will be present on the day to keep a watchful eye over our stars. Please collect your child from the backstage entrance at the close of their rehearsal. In the coming weeks, we will also be sending home notes regarding our Dress Rehearsal on Thursday 1st and Friday 2nd Dec( we have decided to run our rehearsal over two days to ensure it runs more smoothly. Angelina students will all be on Thursday 1st Dec, 3.30- 4.30pm. First half performers will then run from 5-8pm. Second half performers will rehearse on Friday 2nd Dec. We will also be sending home an invitation for all Angelina students and their families to attend their special Presentation on the 9th December. As soon as order of appearance is finalized, students will be notified), an invite for anyone who may be interested in volunteering assistance in the countdown, Costume Balances and information regarding the organization of both Dress Rehearsal and Concert Day. Attached to this note is an order form for concert merchandise and dance supplies. We are also asking if anyone would like to sponsor a page in our program or advertising space. 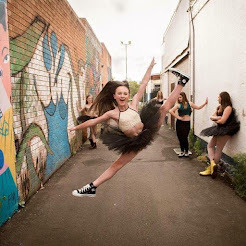 Please direct all enquiries to rikki@steppingoutdance.com.au. Our 2016 Presentation will be at the close of our 5pm show for all students other than our Angelina’s . Colin Rouse will be filming and taking photos of all three shows. Order forms for DVD's will be available at the studio and be sent home with students. We ask that all orders be sent directly to Colin Rouse and not left at the studio. All information will be available on the order envelopes. We hope you will enjoy the show as much as we have enjoyed producing it. It truly is a magical and memorable time for our performers and we feel very blessed that you have chosen us to contribute to your children’s precious childhood memories. Our thanks to everyone who has supported us in this process by ensuring your child has been measured for their dazzling costumes. We really appreciate your cooperation and look forward to sharing in this exciting event with you. A Hair & Make Up Guide will be sent home in November in readiness for Dress Rehearsals and the Big Day. Photos of how to do hair and make-up will also be posted on our website and FB page to assist any new parents. A REMINDER THAT OUR CONCERT “DON’T STOP THE MUSIC” will be staged on Saturday 3rd December & Sunday 4th December in three fabulous performances. Our Saturday show will commence at 2pm. Our Matinee Performance on Sunday 4th Dec will commence at 11am and our evening performance at 5pm. Students will be required to dance in all performances. Angelina students will be designated ONE show for their wonderful performance. Our 2016 Presentation will be held at the conclusion of our 5pm show. Angelina students will have their own Presentation Party on Friday, 9th December. More information will be supplied closer to the date. A STAGE REHEARSAL will be held on Sunday, 13th November at the Dubbo Regional Theatre. A timetable will be supplied in the lead up to this rehearsal. Costume Collection will be held during class times in the week leading up to dress rehearsals. Balances will be advised prior to these dates and will be payable at time of collection. A DRESS REHEARSAL will be held on Thursday, 1st Dec and Friday, 2nd Dec at the Dubbo Regional Theatre and will be a full rehearsal (hair & make up) and will run as per performance order. This will also be a full technical performance. Times will be supplied closer to the date. TICKETS WILL GO ON SALE on NOVEMBER 7th and will be available online from www.drtcc.com.au or from the Theatre Box Office ( in person or phone 02 6801 4378.) Tickets are charged at $30 for ADULT and $28 for Concession. Tickets for all shows SOLD OUT very quickly last year so we ask that everyone puts this date in your diaries. We will update on Facebook as a reminder. We really can’t wait to see the culmination of our 2016 dancing year on the big stage and know that these beautiful young people are going to shine. We are absolutely thrilled at the work, enthusiasm and energy we are seeing in class. 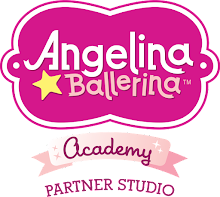 ANGELINA STUDENTS & LITTLE STARS JAZZ WILL BE MEASURED FOR THEIR COSTUMES ON THURSDAY, 20th OCT between 4.30 and 6.30pm and SATURDAY, 22nd OCT between 9am and 11.30am. A deposit of $30 per costume is required and is payable by cash or card on the day. Please ensure your little one is measured so there is no delay in costuming. We will presume that all students NOT measured at this time will not be performing. Our costume budget for this age group is $55- $60 with the balance payable at time of collection. A Hair & Make Up Guide will be sent home in November in readiness for Dress Rehearsals and the Big Day. Photos of how to do hair and make up will also be posted on our website and FB page to assist any new parents. A REMINDER THAT OUR CONCERT “DON’T STOP THE MUSIC ” will be staged on Saturday 3rd December & Sunday 4th December in three fabulous performances. Our Saturday show will commence at 2pm. Our Matinee Performance on Sunday 4th Dec will commence at 11am and our evening performance at 5pm. Students will be required to dance in all performances. Angelina students will be designated ONE show for their wonderful performance. Our 2016 Presentation will be held at the conclusion of our 5pm show. Angelina students will have their own Presentation Party on Friday, 9th December. More information will be supplied closer to the date. A DRESS REHEARSAL will be held on Thursday, 1st Dec and Friday, 2nd Dec at the Dubbo Regional Theatre and will be a full rehearsal (hair & make up) and will run as per performance order. This will also be a full technical performance. Times will be supplied closer to the date. Little ones will only be required on one day.